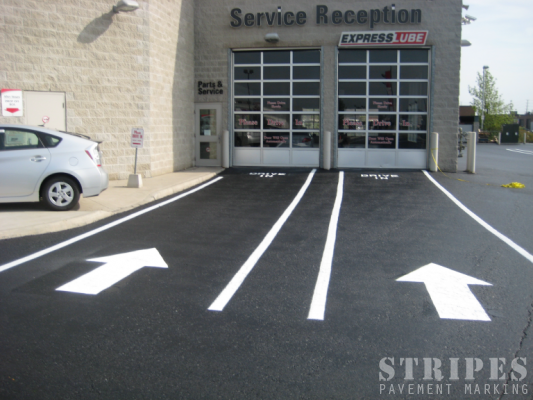 STRIPES is a local leader in pavement marking. 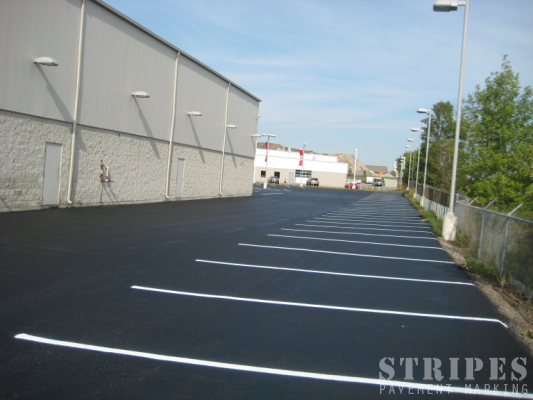 Offering services including: pavement striping and parking lot marking, we are the last call that you will make when looking for professional pavement completion. 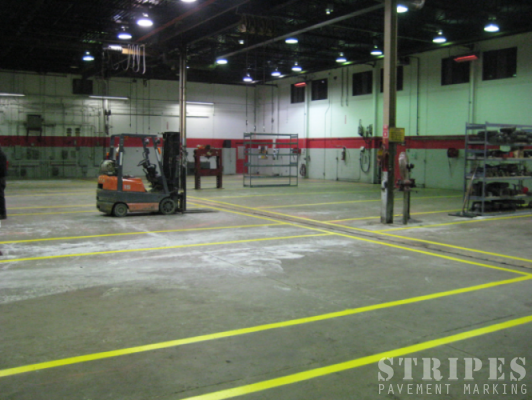 We have been serving Southern Ontario for over 30 years and are proud to still offer the same, friendly, professional service that we always have. Our business has grown throughout the years and we have always remained informed of technological advances and techniques, ensuring that we are using only the best products available today. 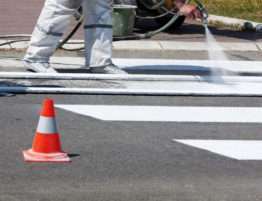 Ministry of Transport grade traffic paint in Ontario, we will work with you to achieve the markings that best suit your needs. 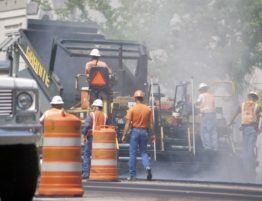 Above-ground or underground, let us do the whole job! 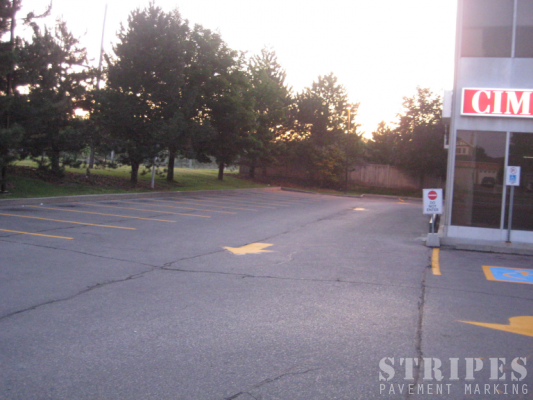 We are specialists in parking lot configuration and design. 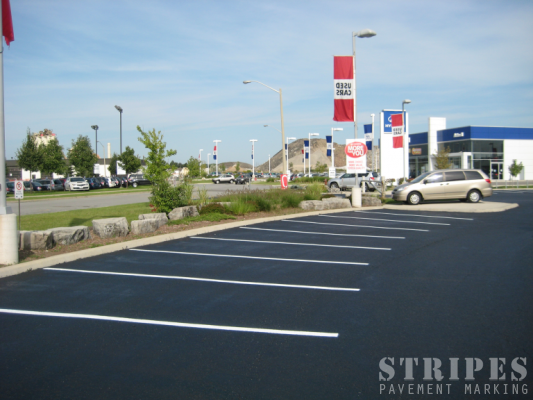 STRIPES is a local leader in pavement marking. 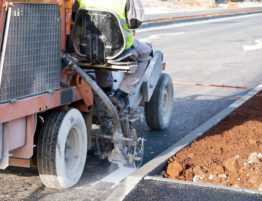 Offering services including: pavement striping, parking lot marking, we are the last call that you will make when looking for professional pavement completion. 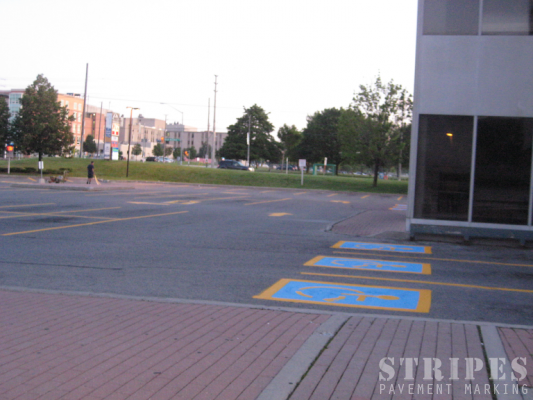 Our services include commercial pavement striping and restore parking lot lines and symbols. 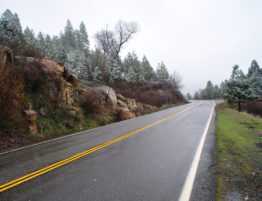 Whether your lot is 1,000 sq feet or 1,000,000 sq ft, we can help. 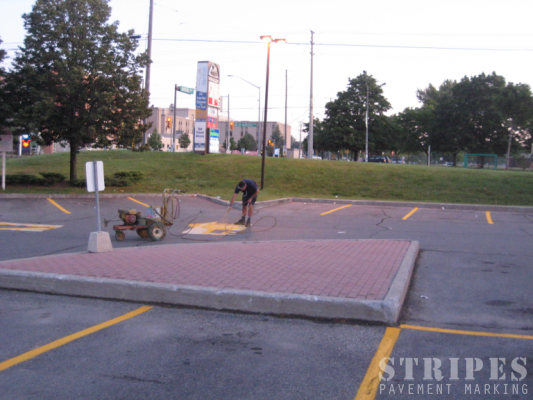 Have a look around to see how we have helped hundreds of clients to restore their pavement and configure their parking lots and give new life to old pavement. 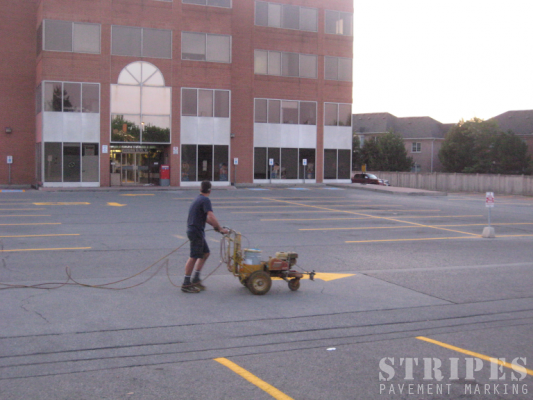 STRIPES has been providing pavement completion services in Southern Ontario since 1988. Always taking advantage of new technologies and using only the best quality product have helped us to become a leader in our field. We have helped all companies, big and small to reach their goals and would be happy to serve you today! Your business is important to us and we pride ourselves on friendly, accessible customer service. If you need us, we are there. Call us today!